New! 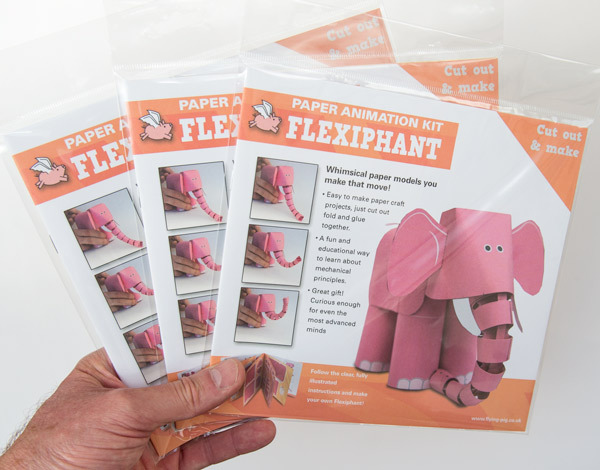 Visit the Flying Pig website where you can order your own Flexiphant kit to cut out and make! Pull the tail on the Flexiphant and she raises her tail in surprise. 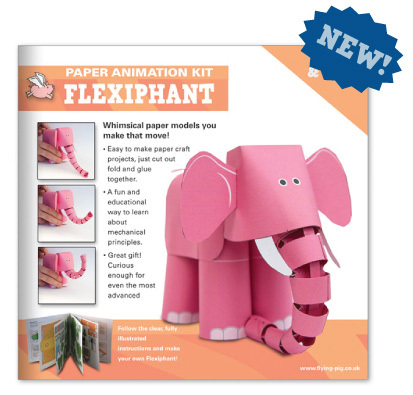 Check out this Instagram animation of the finished Flexiphant in action! 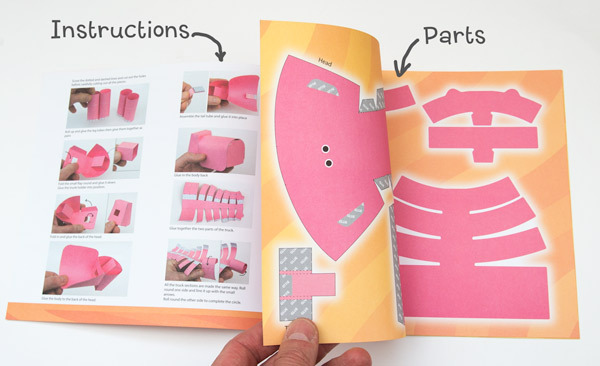 Visit the Flying Pig website to order your own Flexiphant delivered anywhere on Earth.